Though many women worked as nurses in hospitals and within the medical profession, it was deemed “inappropriate” for a woman to become a doctor. This changed when Elizabeth Blackwell (1821-1910) became the first woman to receive a medical degree in America and the first woman on the Medical Register of the General Medical Council. Born and raised in England, Blackwell traveled to America to fulfill her ambition to become a doctor, where she privately studied anatomy under the tutelage of Dr. Jonathan M. Allen. As a woman, Blackwell faced tremendous obstacles in achieving her ambitions. It was suggested she disguise herself as a man to gain admittance to medical school or move to France where she could possibly train as a doctor. Blackwell’s mind was made up and she was determined to go through with her studies despite enormous opposition. The horrors and disgusts I have no doubt of vanquishing. I have overcome stronger distastes than any that now remain, and feel fully equal to the contest. As to the opinion of people, I don’t care one straw personally; though I take so much pains, as a matter of policy, to propitiate it, and shall always strive to do so; for I see continually how the highest good is eclipsed by the violent or disagreeable forms which contain it. The argument against Blackwell’s hope of a medical career was double-edged. Firstly, it was claimed women were inferior and therefore not up to the work. Secondly, if women were capable of becoming doctors then this would be troublesome and unnecessary competition for male doctors. Blackwell applied to twelve different schools. In October 1847, she enrolled as a student at the Geneva Medical College (now Hobart College). Her admittance was decided upon by the male students who were told if one student objected to Blackwell’s admission she would be barred. The 150 male students voted unanimously in her favor. On January 23, 1849, Elizabeth Blackwell became the first woman to achieve a medical degree in the United States. Her actions opened a door to which there was no way of closing. 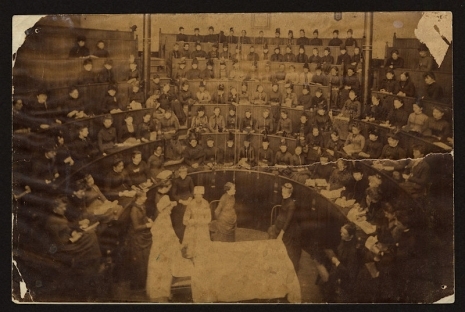 The Woman’s Medical College of Pennsylvania was established in 1850 as a school solely for the training of women in medicine. 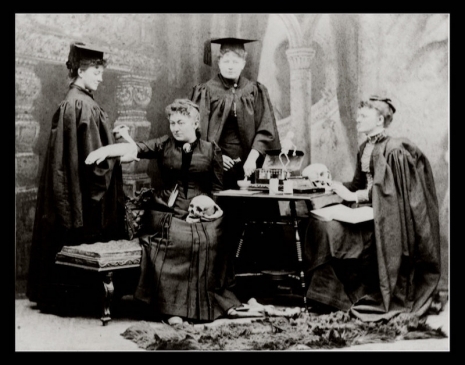 The college was the second medical school for women opened in America but the very first medical school in the world authorized to award women the title of Medical Doctor or M.D. It would go on to become one of the most pioneering and inclusive medical schools in the country, accepting students from every ethnicity, creed, and nation. Students traveled from as far afield as India to study at the school. The college was originally set up by Quakers who believed in a woman’s fundamental right to education. They also firmly supported full equality between the sexes and were understandably flummoxed by those men who vehemently argued against it. 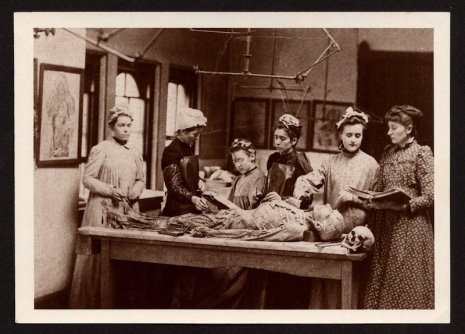 The idea for a women’s medical college had long been considered a necessity. Dr. Bartholomew Fussell argued the case in 1846, two years before Dr. Samuel Gregory opened the Boston Female Medical College, in 1848. Fussell was inspired by his dead sister, who he claimed would have made a brilliant doctor. 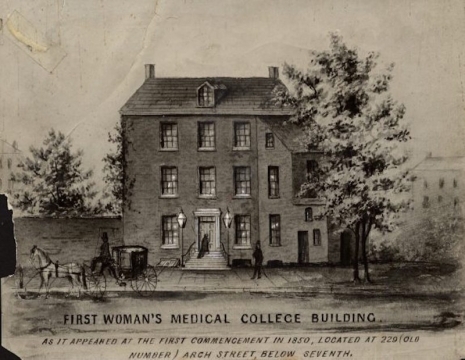 Originally called The Female Medical College of Pennsylvania, the school was situated at 229 Arch Street, Philadelphia. The college offered women the very rare opportunity to “teach, perform research, manage a medical school” within a hospital setting. This led to the establishment of the Woman’s Hospital in 1861. These were hard-won achievements. 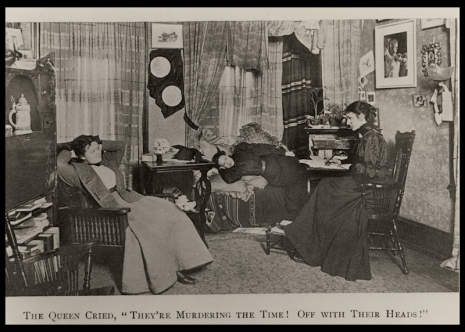 Rival men-only medical schools refused to accept many of the women students and doctors—on one occasion “cat-calling” and “jeering” women students in attendance at the Pennsylvania Hospital where they were to receive clinical instruction. But the blow had been struck and the forces of reaction inevitably crumbled. 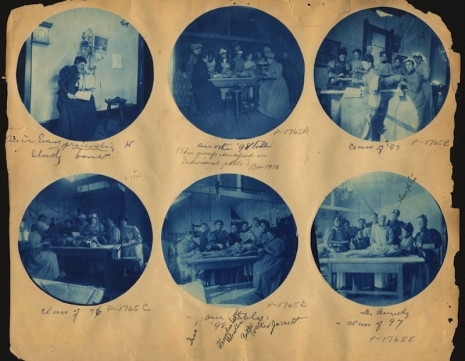 The following selection of photographs show what life was like at the Woman’s Medical College for these young heroic women who fought and won the right to become doctors. The school went onto become active in the Feminist movement of the 19th and early-20th centuries. The college and hospital merged with Hahnemann Medical School in 1983, before joining Drexel University College of Medicine in 2003. 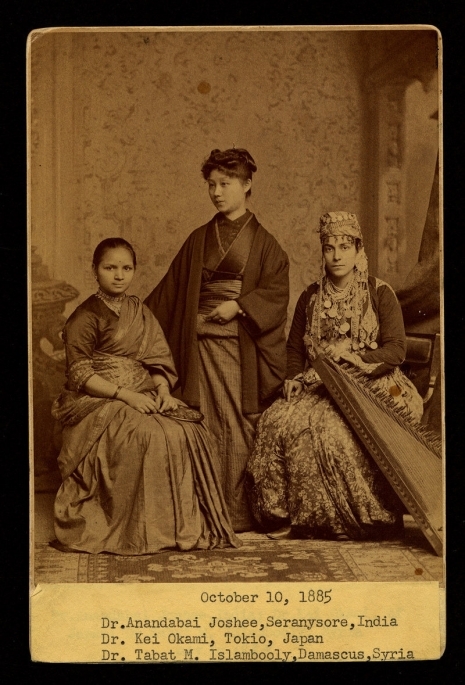 Students came from all over the world: Anandabai Joshee, Kei Okami, and Tabat Islambooly, photographed at the Dean’s Reception on October 10, 1885. Inside the packed operating room, North College Avenue, circa 1890. 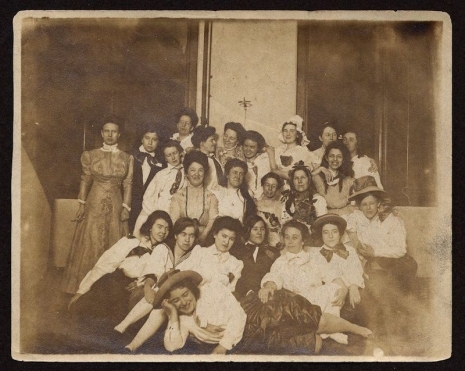 The Woman’s Medical College of Pennsylvania class of 1891. 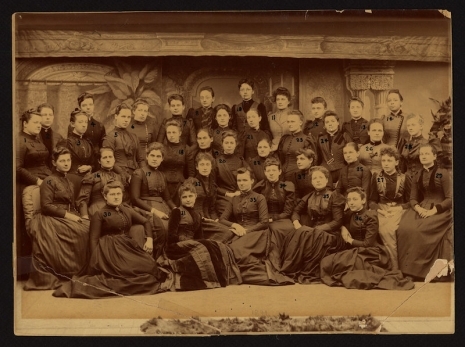 Students from class of 1893. 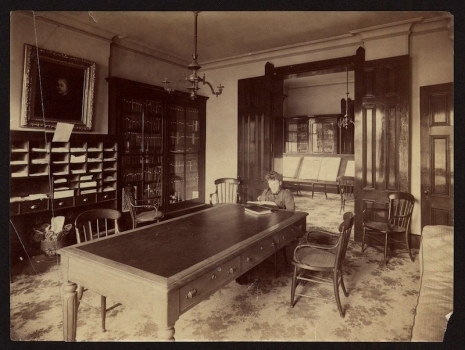 Studying at the Woman’s Medical College of Pennsylvania, 1895. 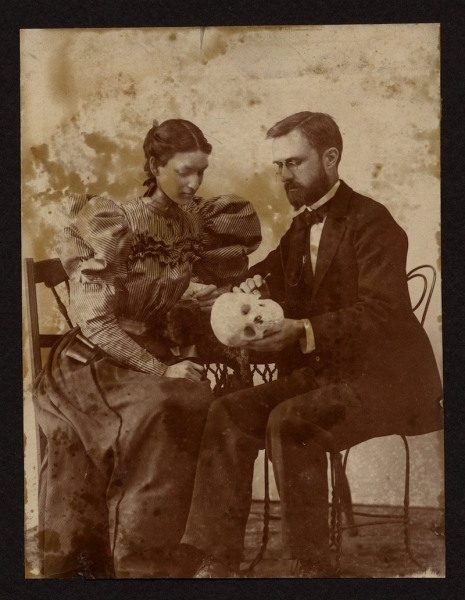 Alice R. Evans and Dr. Hill, an eye, ear and throat doctor, examining a skull, 1896. 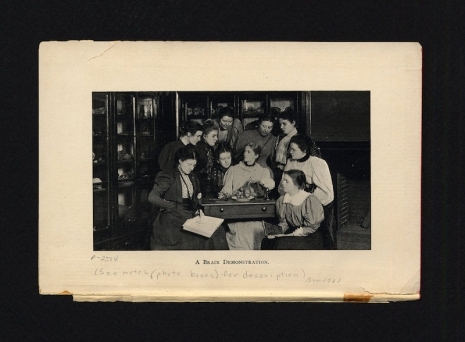 A brain anatomy demonstration, 1897. 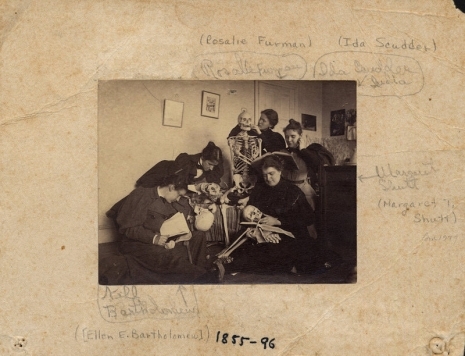 Alice Evan’s scrapbook with dissection images, c.1898. 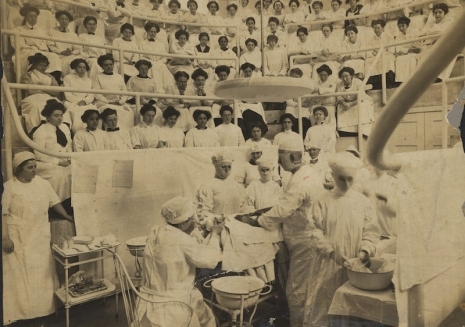 Inside the operating amphitheater, 1915. The Woman’s Medical College of Pennsylvania. Via Vintage Everyday, Drexel Med Archives and the Encyclopedia of Greater Philadelphia. Spinzak © 2019. All Rights Reserved.